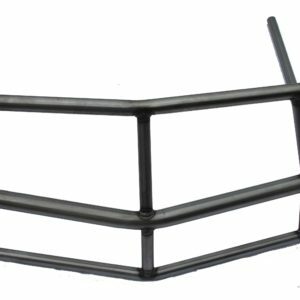 We offer two styles of radiator hoop kits mostly depending on the year of the Terminator Stock car or Hobby stock chassis. The 1998-2016 chassis has a weld kit. The 2017 to current chassis have a bolt on kit. If your chassis front end was updated at Harris Auto Racing it may have the bolt on kit as that is an option to add when updating the front end.